The S-PAC is completely organized by students of the IEEE student chapter at Christian Brothers University. Students gain free admission and Professionals pay a $30 entry fee. 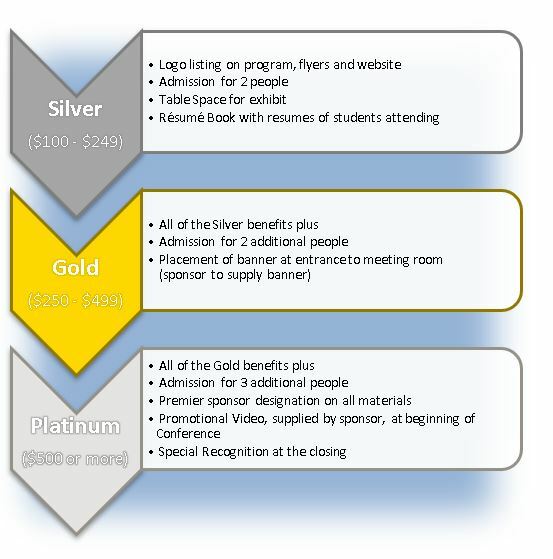 The expenditure for organizing this conference is burdened by the cost of the venue and organization, catering and bar, equipment, and printing of flyers. Sponsorship funds acquired from this event are used to provide events such as S-PAC and for the sponsorship of the CBU engineering students to attend the IEEE Southeast Conference 2019, held on April 11 – April 14 in Huntsville, AL. SoutheastCon is an annual conference hosted by IEEE (Region 3). Students from Christian Brothers have been extremely successful at this conference. Last year, the students from Christian Brothers University won 2nd place in the website competition, 2nd place in the networking competition, and 7th place out of 50 in the hardware competition. We are committed to providing sponsors with the best possible return on their valued investment. It is therefore our pleasure to work closely with your company to meet your specific needs and requests. Please do not hesitate to contact the Sponsorship Committee Chair, Ian Dover, at idover@cbu.edu with any ideas that you may have to create more value for your sponsorship. If you are interested in becoming a Sponsor please contact us using the form below. SPAC is a yearly event put on by the IEEE CBU Student Branch.